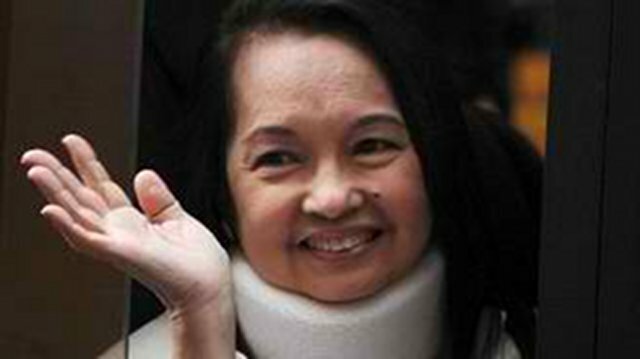 The Court of Appeals (CA) Ninth Division has upheld a lower court ruling granting bail to detained former President Gloria Macapagal-Arroyo, saying the evidence against her was insufficient to deny her temporary liberty while on trial for electoral sabotage over her alleged role in manipulating the results of the 2007 midterm elections. “Consequently, in finding that respondent Arroyo’s evidence of guilt is not strong, the grant of bail now becomes a matter of right. Thus, it cannot be said that the trial court judge acted in a capricious, whimsical or despotic manner, when he issued the order granting Arroyo bail,” the appellate court said. In a March 24 decision, the court dismissed the government’s petition that sought to keep Arroyo in detention, saying Pasay Regional Trial Court Branch 112 had “acted with grave abuse of discretion amounting to lack or excess of jurisdiction” in granting Arroyo bail on July 25, 2012. It was the state’s second action against the bail grant, losing the plea in the Pasay court on Oct. 8, 2012. It then filed a petition for certiorari in the CA, asking the court to stop the enforcement of the lower court ruling, citing abuse of discretion. The 13-page ruling, penned by Associate Justice Elihu Ybañez, cited the prosecution’s weak evidence against Arroyo. It said that only one testimony, from a witness of questionable credibility at that, had linked Arroyo to the alleged cheating in the senatorial polls. “In this case, Arroyo was charged with the crime of electoral sabotage which is punishable by life imprisonment. Petitioner, however, had the burden of proving that her evidence of guilt is strong,” the court ruling read. “However, after a careful and judicious scrutiny of the evidence adduced by the prosecution, respondent judge concluded that the only evidence linking Arroyo to the alleged conspiracy was the testimony of engineer Norie Unas, whose credibility was seen by the trial judge to be tainted with doubt. Arroyo is a coaccused in the electoral sabotage case along with former Maguindanao Gov. Andal Ampatuan Sr. and then provincial election supervisor Lintang Bedol.